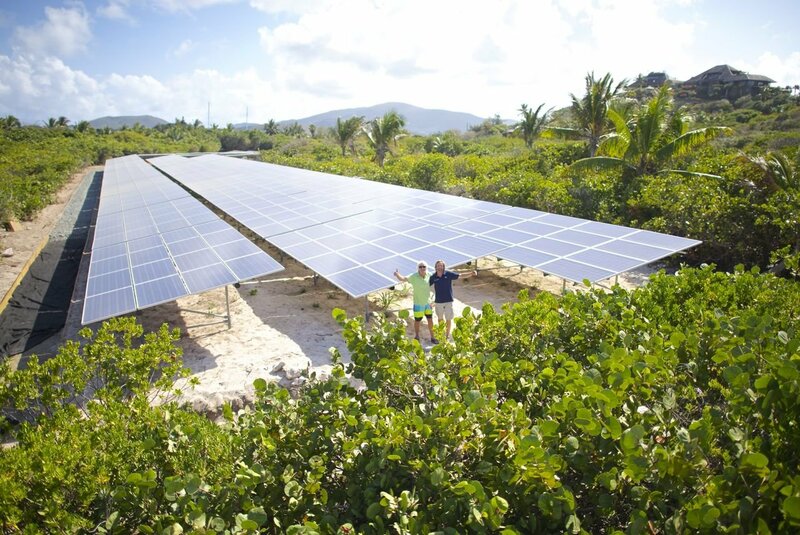 We have reached an exciting milestone in our journey to turn Necker Island into one of the most renewably-powered islands in the world. 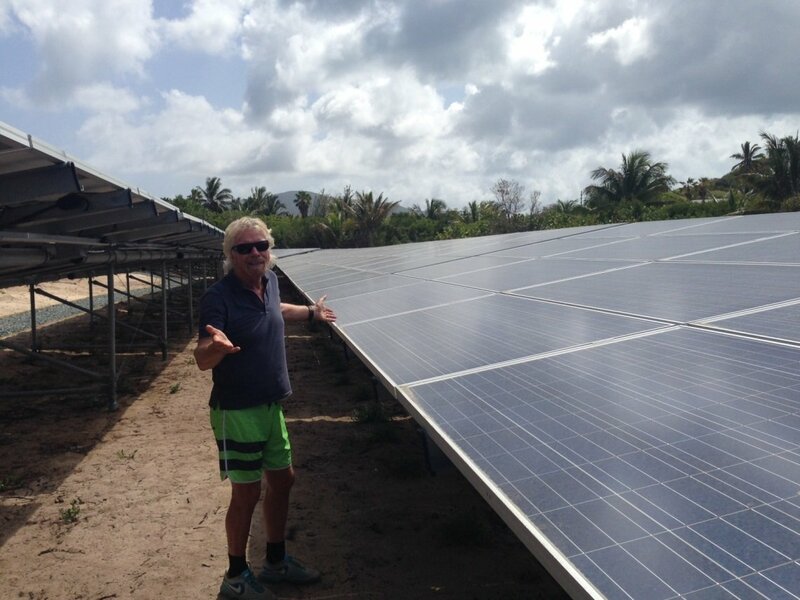 A year ago, Necker was announced as the ‘demo island’ in the Carbon War Room Ten Island Renewable Challenge, in which Caribbean islands are attempting to end their reliance on fossil fuels. Now, we have made a major step forward in the challenge. Three weeks ago we turned on a new solar energy system consisting of 1232 photovoltaic solar panels in the array. The system has been running at 100kW to retain electrical grid stability until the batteries are installed. To mark Earth Day tomorrow, we will increase the production to 125 kW as initial results on grid stability are very good. We predict this will increase our diesel savings to 20%. Once the battery system is installed we will run the photovoltaic solar panels at full capacity; these savings will increase substantially. Then the next steps are for wind turbines and batteries to come online in November, which should provide diesel savings of over 75%. As the system develops, we will introduce energy efficiency measures and new innovative technologies to get the diesel reduction hopefully to 100%. Although these pictures looks like the solar panels can be seen, they are in fact hidden amongst the sea grapes so cannot be seen from anywhere on the island. 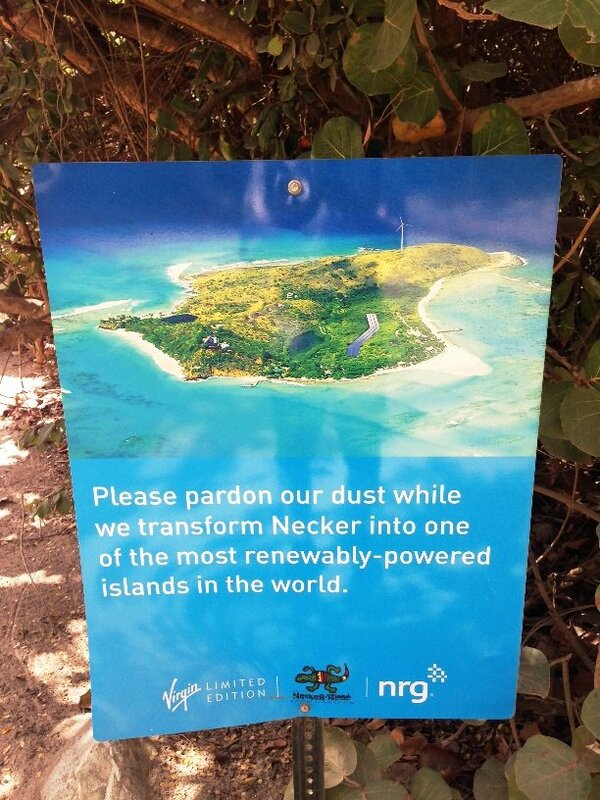 The project is a result of the great work of our system owner partners, NRG, and the engineering team on Necker, led by Adam Simmonds. Solar represents a huge opportunity. In one second, the sun gives off more energy than all of humanity has ever used. The potential for more renewable energy across the world is massive, especially in places like the Caribbean. We are perfectly placed to act as a test bed to demonstrate and scale innovative, clean energy solutions. These small steps so far show we are moving in the right direction. I look forward to sharing more renewable breakthroughs in the coming months and years, and encouraging the renewables revolution to spread far and wide across the world. 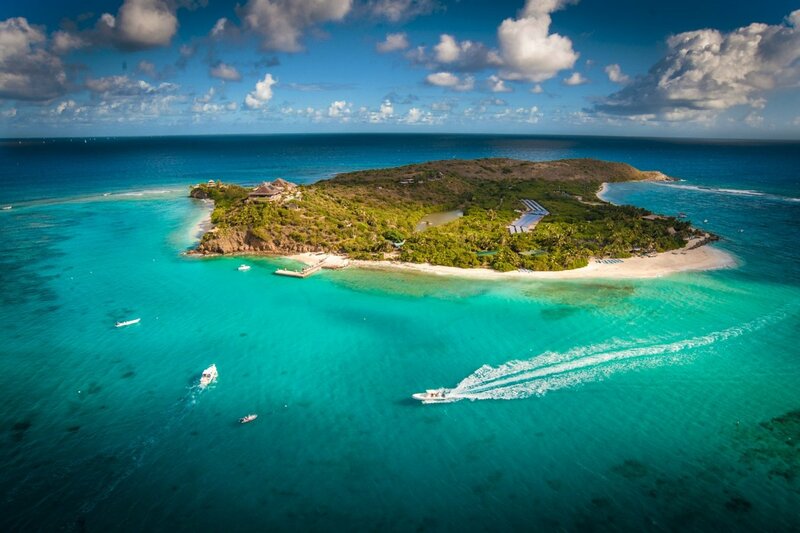 Find out more about the future of Necker Island in the video below.